Bioremediation Action is holding a planting party this Friday, May 6th at the Mulberry Center at the corner of Lincoln and Selden (the actual address is 3716 Lincoln) in Detroit. They’ll be planting bioremediators around a grey water system they recently removed. Bioremediators are plants which draw heavy metals such as lead or mercury, along with other toxins, from the soil. This is a natural way to address the pervasive problem of soil contamination throughout Detroit. The party starts at 1:00 p.m. and will end around 9:00 p.m. Bioremediation Action will have free food and drink on hand for all volunteers. 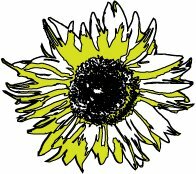 You can find more information about the Bioremediation Garden Party on their Facebook page. They also hold Seed Bomb Sundays every week: you can pick up seed bombs to distribute in empty lots that you think may be contaminated. These are packets of bioremediator seeds which include everything the seeds need to grow – so there’s no planting involved, you can toss ’em and walk away. They do ask that you let them know where you intend to drop the seeds, so they can check up on them from time to time. Seed bombs are distributed at the Mulberry Center (3716 Lincoln) in Detroit. Even if you grow in containers, you might wan to have your soil checked for lead. It can come from peeling paint on any house in your neighborhood built before 1978. I use Avant Environmental, they are cheap and fast.